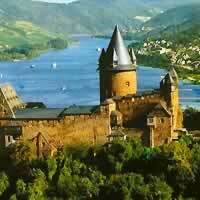 Situated on the Rhine has a rich history, Mainz was founded by the Romans 38 B.C. 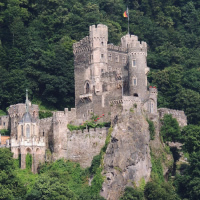 The 2,000 year heritage is revealed by both Roman relics and the impressive baroque palaces and churches built by talented architects and sculptors in the 17th century. 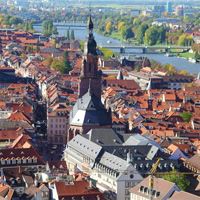 Mainz is known for its old town, with half-timbered houses and medieval market squares. 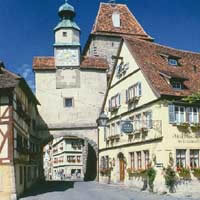 In the center, the Marktbrunnen is a Renaissance fountain with red columns. 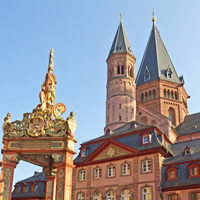 Nearby, a distinctive octagonal tower tops the Romanesque Mainz Cathedral, built of deep red sandstone. 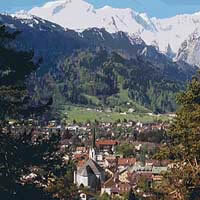 The Gutenberg Museum honors the inventor of the printing press with exhibits, including 2 of his original bibles. 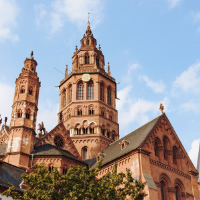 Religion always occupied an important role in Mainz and a living proof is the cathedral dominating the Markplatz in the Altstadt (old town). 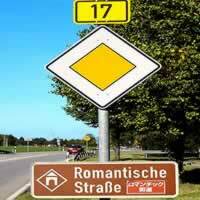 The tourists may notice a remarkable, careful reconstruction after the air raids in 1945. 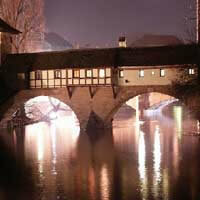 Visit Cologne, Mainz, Rothenburg and Nuremberg with a rent a car. 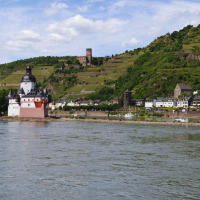 Visit Munich, Heidelburg, Mainz and Frankfurt with the ICE train. 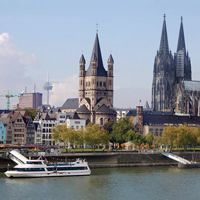 Visit Franfurt, Wurzburg, Mainz, Heidelburg and Munich with the ICE train. 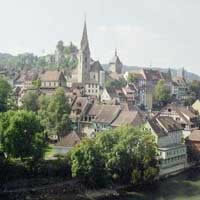 Visit Geneva, Zurich, Frankfurt, Heidelberg, Mainz, Erfurt, Nuremberg and Munich by Trains. 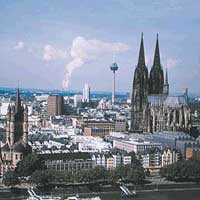 Combine Amsterdam, Dusseldorf, Cologne, Mainz, Koblenz, Luxembourg and Paris with the ICE, RE and TGV Trains.